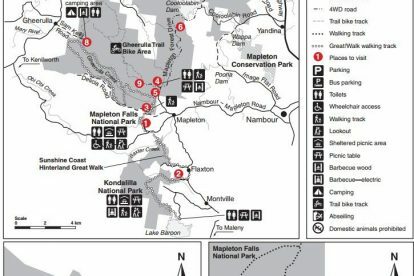 Mapleton Falls National Park is a smaller national park within the Sunshine Coast region but still offers many things for visitors to see and do. 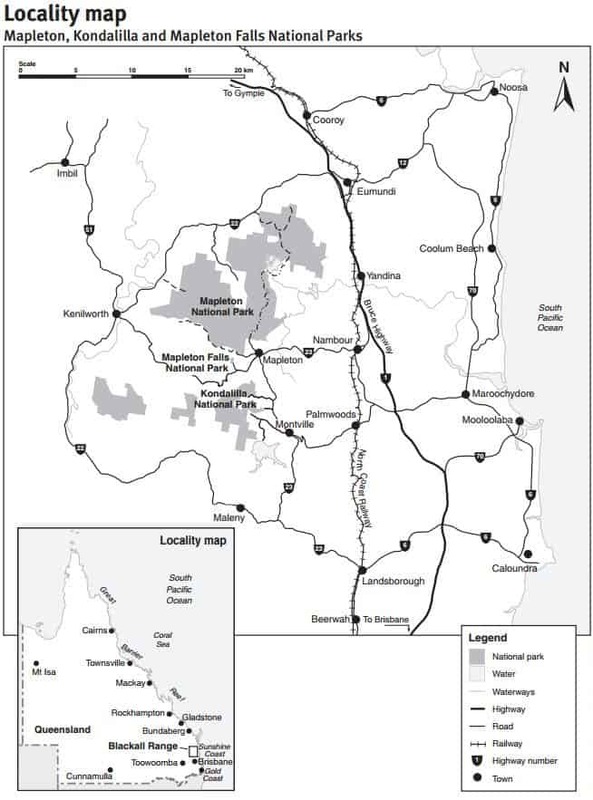 Located 105kms from Brisbane, Mapleton Falls National Park can be reached via the Bruce Highway and Obi Obi Road. Follow the signs until you reach the park. By far, the most popular attraction is the falls themselves. Formed by Pencil Creek, Mapleton Falls plunge 120 metres into a valley in the below eucalypt forest. In the spring and summer months, you may hear frogs who live in the rocks around the pool below. There are two main walking trails within the park: The first is the Mapleton Falls Lookout – an easy, short 50m return walk which provides spectacular views of the falls and Obi Obi valley. This walk is wheelchair accessible. 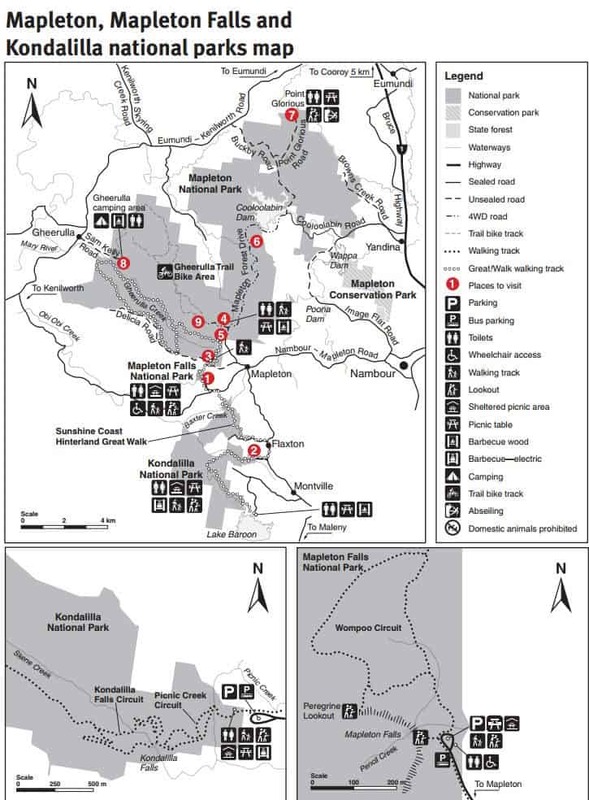 The second walk is the Wompoo Circuit – 1.3km return walk which takes approximately 45 minutes and winds through the rainforest and eucalypt forest. There is signage along the way and great views. 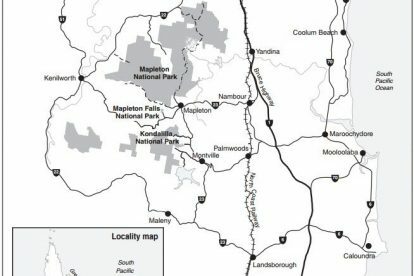 Camping is not permitted in Mapleton Falls National Park, but there are picnic facilities beside the carpark. Amenities include toilets and picnic tables. Dogs are not permitted within the park. Walk on tracks during daylight hours only.